One of the things I want to work on this year is re-featuring some of the previous content I've created, whether that's through recreations or looks back. It just seems like after things move off the first page or so they're more or less forgotten (both by me and readers). That seems like such a waste! To counteract that happening I'm going to be introducing periodic Throwback Thursday posts. Another bonus of doing posts like this is to remind myself how far I've come, since like most bloggers I can get into phases where I'm really critical of my work and need to take a step back to acknowledge and appreciate how far I've come. So let's get right into it! Today I have a selection of posts from Jan 2014 to share with you. 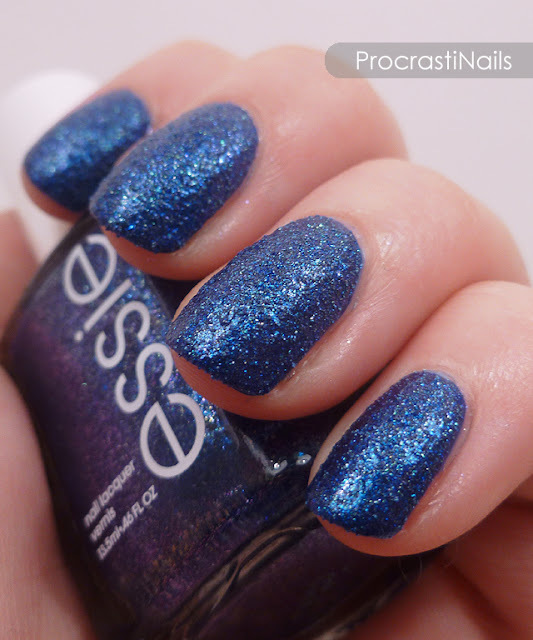 The first swatch of 2014 was this lovely blue textured glitter from Essie. I don't think I've actually used this polish since then - I really need to pull it out again because it's gorgeous! Also wow I obviously knew nothing about white balance or colour correcting at this point in my blogging life. Haha. 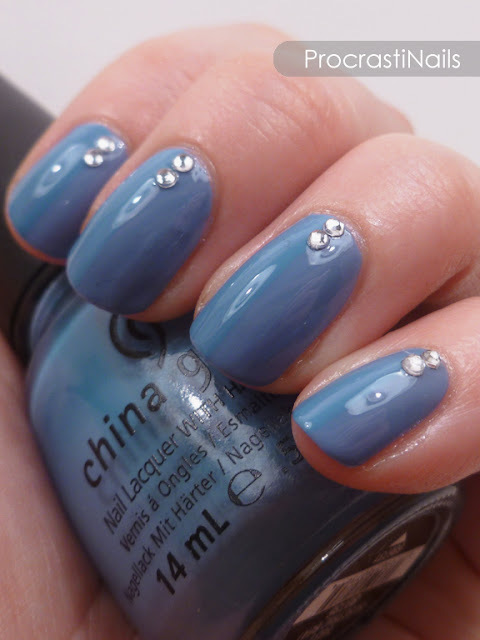 This mani I remember. I had wanted to do a comparison of China Glaze Fade Into Hue and Electric Beat and decided to do them with a split mani. I was surprised at how different they look side by side considering how similar they are in the bottle! Fingers still looking pretty lobster-y at this point, but my focus is pretty good. This was my first attempt at the distressed look, and I remember being so excited about how it turned out. 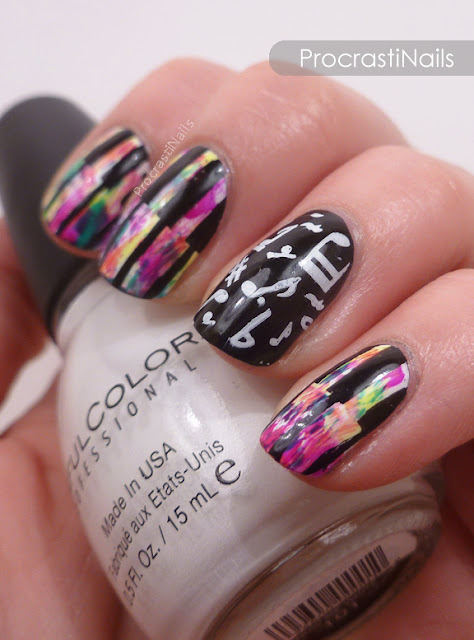 I love the stamping too and think the accent design was perfect to compliment the riot of colours on my other nails. :) The lobster is still with us, though this was the last time I used the white background! These were my some of the first pictures I took with my new light box (thanks mom and dad!) and black background. The Boudoir Collection is still to date my absolute favourite collection from Julep, and it remains the only time I upgraded to the full collection. I was pretty excited when I picked up Push and Shove because it was my first true chrome polish. At the time most of the reviews I'd seen spoke about the visible brush strokes, but when I gave it a try I found that wasn't a problem I had at all! Look how shiny and pretty! This was a really fun post to put together, and you'll definitely be seeing more of them in the future. :) Even in the course of a month I can see some real changes in the quality of my pictures! What do you think about the idea of throwback posts? Yay or Nay? Lots of Lux is gorgeous! I vote yay on these posts! YAAAAAAAY ! Such a great idea ! Me too, it makes me remember that I should try again such technique or such polish. I love your grunge music nails! Those are totally something that I would rock. I should do some type of post like this, I've got some really cute post that deserve some more love since my audience has grown. I've been wanting to do this with a recreation. Maybe we can do a collabo soon! That would be fun! :) I'm totally down! The Julep polishes are beautiful! I love Julep but I have skipped every month for about 6 or 7 months in a row. I really like your idea of throwback posts. Love the idea for a throwback post. This was fun to see. You've definitely come a long way in a year but I also think it's important to remember you were doing quality nails this time last year as well. 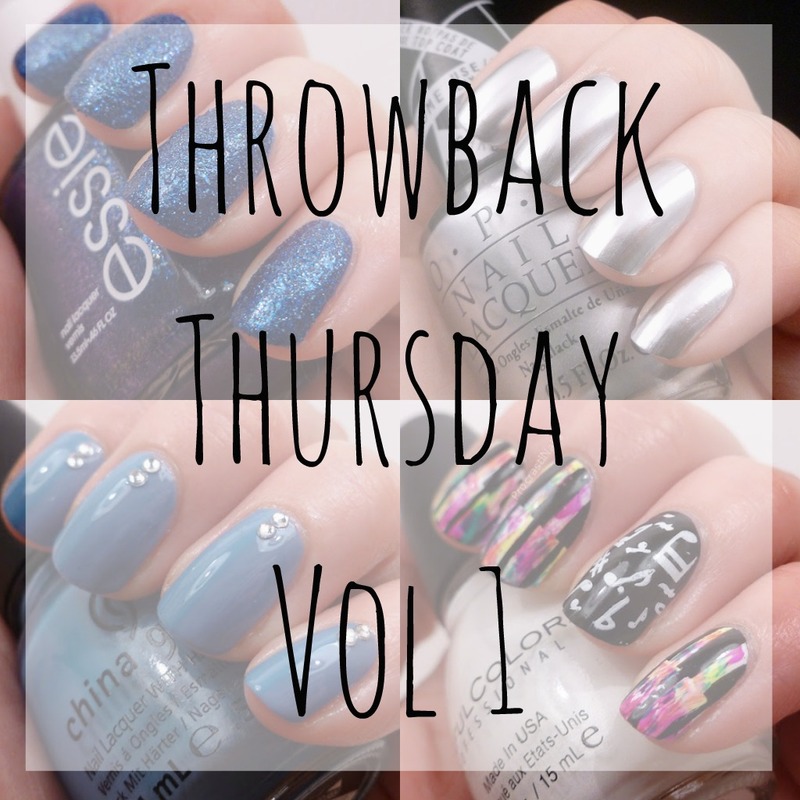 I vote yay, I have my weekly post where I look back at the past week but a year earlier - it's so much rediscovering things you loved (or hated) and polishes that need to be used again ;-). Definitely a yay! Great post! Your swatch of Push and Shove is beautiful! And I loooooove your grungy music nails! This is such an excellent idea!!! Great post and I'm so jealous of how great Push and Shove looks on you!! It applied like a hot mess on me!